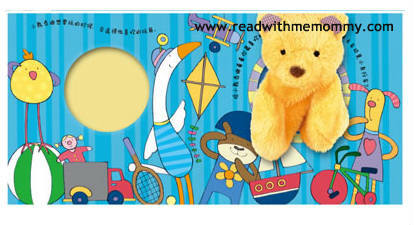 Playtime Teddy is an adorable board book with hand puppet, written by Emma Goldhawk and illustrated by Jonathan Lambert. This is the Chinese translated version. 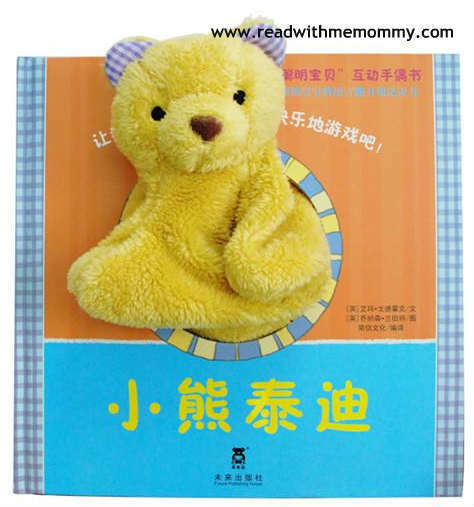 Playtime Teddy is a cheerful little bear who wants to be friends. Join in with Ted as she uses her paws to do all sorts of clever things, such as waving, pointing, clapping and tickling. 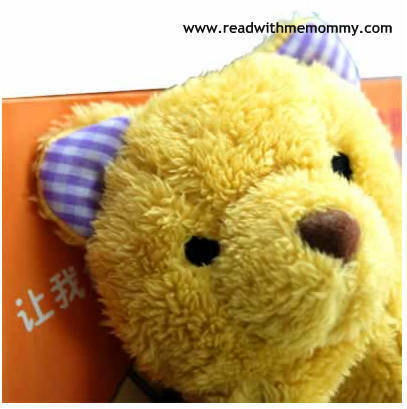 Chidren will love to join in and interact with this cute puppet.